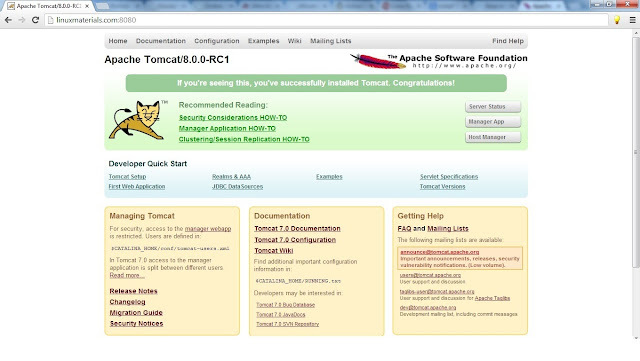 JAVA is the first requirement of Apache Tomcat installation. Use following command to check if you have java installed or not. In Command Prompt use these commands , Download & Install Apache tomcat. After competed download, extract the archive file in /opt directory. You may change this location as per your setup. 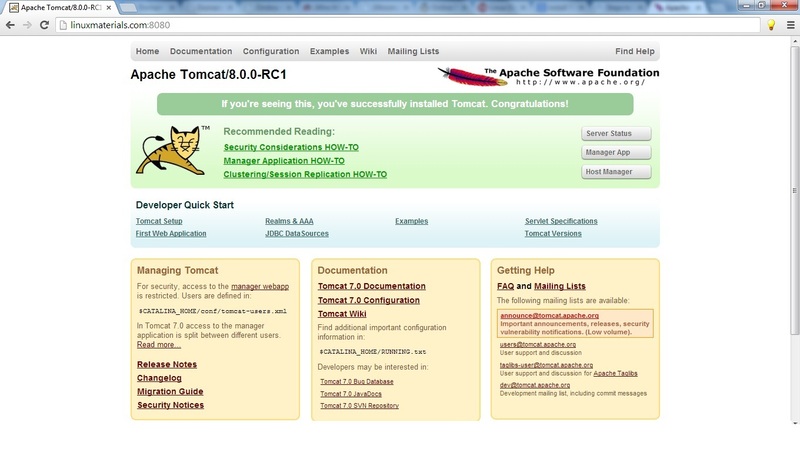 Step 3: Start Tomcat Server. Tomcat server works on port 8080 by default. Access tomcat on web browser by connecting your server on port 8080.
it is always best to remove the Manager application. Edit /opt/apache-tomcat-8.0.0-RC1/conf/tomcat-users.xml file in your editor and modify inside <tomcat-users> </tomcat-users> tags.